Welcome to the first installment of The Seven Questions Series! I want to thank Aggie Villaneuva for being guest number one. 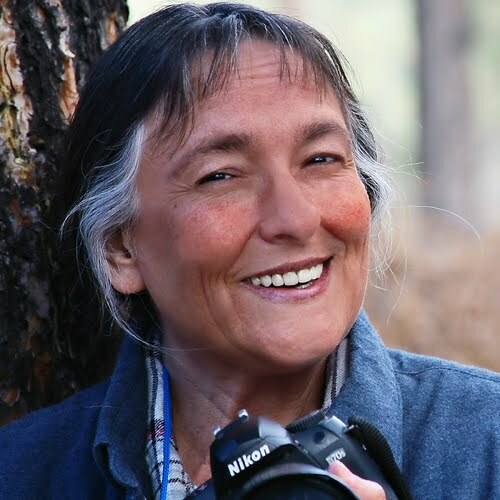 A published novelist before she was 30, bestselling author Aggie Villanueva published Chase the Wind and Rightfully Mine, both at Thomas Nelson in the 1980’s. Her two self-published books, Rightfully Mine and The Rewritten Word, each became bestsellers in three Amazon print & Kindle categories within months of publication, The Rewritten Word within weeks. She founded Visual Arts Junction blog in February 2009. By the end of the year, it was voted #5 at Predators & Editors in the category “Writers’ Resource, Information & News Source” for 2009. Aggie is founder of Promotion á la Carte, author promotional services. Villanueva is also a critically acclaimed photographic artist represented by galleries nationwide, including Xanadu Gallery in Scottsdale, AZ. Contact Villanueva at aggie@promotionalacarte.com. 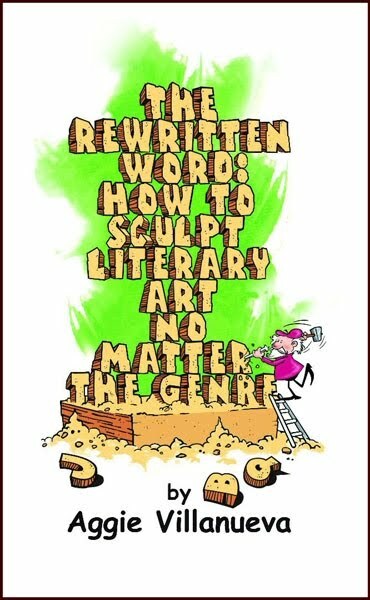 The focus of our interview will be The Rewritten Word: How to Sculpt Literary Art No Matter the Genre. The Rewritten Word is a fast read, and a handy, concise guide to have next to you as you edit. The book consists of five lessons, and at the end of the first four are assignments, with detailed steps to apply to your work. Aggie takes a hands-on approach from the start when she asks you to have a work in progress with you while you read. I chose a blog post I was working on at the time, called A Look Back: The 27th Annual Western Reserve Writers Conference & Workshop. I read through Aggie’s book and did the assignments, and saw an immediate improvement. I feel the results I achieved speak more than anything else I could say about how great this book is. Here are examples from the first three lessons. “Sentence hotspots,” which we’ll get into more in the interview, is a way to organize sentence structure by placing important information at the beginning and end of the sentence, to aid in reader comprehension. Before: The 27th Annual Western Reserve Writers Conference & Workshop took place at Lakeland Community College on September 25, 2010. After: The 27th Annual Western Reserve Writers Conference & Workshop took place on September 25 at Lakeland Community College. Again, we’ll get into this in more depth in the interview, but the basic idea is to cut as many words as you can. I looked for the word “was” and changed it to make it active (which is just one snippet of this lesson). The passive and active in each sentence are in bold. After: After the keynote, I attended “Mastering the Memoir,” taught by one of my favorite writers, Erin O’Brien. Note also the reduction in words (22 cut to 17), which shows how many of these concepts work together. This e-book contains a systematic approach to edit your work. New and experienced writers will find it indispensable. I wish I would’ve had it when I started writing seriously in 2004. The Chipper Writer: Tell me a little bit about The Rewritten Word: How to Sculpt Literary Art No Matter the Genre, and what inspired you to write it. Aggie: Hi Alanna. Thank you so much for having me today. I hope to answer a lot of questions people have about editing their writing. I have to be honest about what inspired me. I wrote it because I’m a terrible writer. My work isn’t publication worthy until I’ve done untold rewrites. When I first started writing, I heard and obeyed the pros who admonish “write, write and rewrite.” But my 10th rewrite wasn’t much better than the first. That’s because I didn’t know what I was doing. I didn’t understand the purpose of rewriting. Its purpose is to clarify and organize, cut rambling & verbosity, switch from passive to active voice everywhere possible, and always use exactly the right word which electrifies your work. These basic necessities are overlooked more often than imagined. When I got serious about studying the craft of writing, I was shocked by what I didn’t know about polishing my words. Reading books on editing, I found them lofty, using grammar terms that college level English students would have a hard time following. So way back then I did exactly what I did with the examples in my little handbook — I took the sentences and paragraphs that were unclear to me and clarified, simplified and shortened, rewriting until they made sense to me, and eliminating what didn’t relate and in fact distracted. Many times this meant translating into words I could understand, and at times that required searching grammar books to find out what the heck the author had said. What I didn’t realize was I was teaching myself to rewrite. It was years before I understood my own process, but this is what I did to rewrite my own work from that point. And, like most of us, I just wanted to share what I learned, so I compiled and published it, hoping someone else can relate. Also, I want to stress I’m not a professional editor or English grammar teacher, but just a simple writer struggling to improve my own work. TCW: I love the structure of your book. It consists of five lessons, and at the end of the first four are assignments, with detailed steps to apply to your own work. How did you decide on this structure? Aggie: Funny you should ask. Originally, it was designed as an email course that nobody ever signed up for. I liked the assignment aspect of it, which is pretty common in how-to books, so I kept that when I rewrote it as a book. TCW: In “Lesson One: Organization- You Thought That Meant Outlining, Didn’t You?”, you write about “hotspots,” a concept from Philip Yaffe’s article, “How Crafty Word Order Can Instantly Improve Your Writing.” I applied “hotspots” to a blog post I worked on while I read your book, and saw an immediate improvement. Can you please explain what “hotspots” are and why they are important to organization? Aggie: At various points in his 40-year career, Philip Yaffe has been a teacher of journalism, a reporter/feature writer with The Wall Street Journal, European marketing communication director with two major international companies, a founding partner of a marketing communication agency in Brussels, Belgium, and much more. He knows the art of communication better than most. But I knew none of this when I read that article. Hotspots are his ingeniously simple way to organize your sentence structure by knowing where to place important and secondary information within a sentence. I immediately recognized the concept because I’d unknowingly stumbled upon it while rewriting my fiction, but never developed it into such a complete and easy to understand concept. I devoted a few pages to quoting Philip because I was so impressed with his insights about how to get readers to most easily absorb your ideas and deliver them with the most impact. After all, that’s exactly why we rewrite. I wrote for permission to quote him and learned that he was just finishing his own book which, in my opinion, is the end-all expert writing manual, The Gettysburg Approach to Writing and Speaking Like a Professional. We became internet friends and then he actually read my book. I’m so honored by a review Mr. Yaffe did for The Rewritten Word, and I’m now working on a review of his book, at his request, which also honors me beyond words that he’d want my opinion. I highly recommend his newest book to all writers. TCW: In the assignment section in “Lesson One,” you write: “Pretend you don’t know what you meant and that you can only understand from what you say.” Can you please expand on that a bit? Do you think that’s possible without putting it in the proverbial drawer for some length of time? Aggie: Most rewriting is impossible without the cooling period, especially for beginners. For many aspects you can set the manuscript aside for just a day or two. What you just mentioned requires a longer cooling period. But, as the writing years go by, it becomes easier to pretend you don’t know what you’re reading. It takes lots of practice, but it’s vital. TCW: What is “verboten verbosity,” and what are some techniques writers can use to overcome it? Aggie: Using too many words to say something is always verboten (forbidden) and always diminishes the rate at which readers comprehend. That may not sound like a big deal unless you understand that if a reader doesn’t immediately grasp your thoughts, they bolt. No kidding. A reader will almost never read a sentence/paragraph a second time. If your verbosity persists beyond that first sentence/paragraph, your work is discarded. And not only do we have to get our thought across immediately, with no effort on the readers’ part, we must do it with impact. We have to punch that idea across with staying power, the kind of impact that lingers in their thoughts long after laying aside our writing. As to technique, my first step is to try and cut a sentence/paragraph in half. Don’t even think about it, just start cutting and then study what you have left, and especially those words and phrases you cut. You will learn more about your writing sins by what you eliminate than anything else. Did you cut phrases that aren’t relevant to your paragraph/topic? Then you ramble. Are they all passive words? Did you cut a whole phrase and replace it with one or two perfect words? TCW: Why should writers cut as many words that end in ly and ing as possible? Aggie: These add to two writing sins, verbosity and passivity, which make writing boring, long and hard to understand. Cut words ending with ly as much as possible, so your adverbs will add punch when you must use them. They are a great tool, but when overused promote a jerky flow, as in this published sentence from my novel Chase the Wind, coauthored with Deborah Lawrence, Thomas Nelson, 1983. He patted her hand and smiled sympathetically, but to Gomer his lips curved grotesquely and his lowered voice sounded more like a hiss than a whisper. He patted her hand and smiled, but to Gomer his lowered voice sounded more like a hiss than a whisper. Words ending with ing also stir choppy literary waters when overused, as in this sentence. For a year, I’d been researching and outlining my second novel. The following seems a small, but evident improvement in the active voice. But not so small when multiplied hundreds of times throughout an article, eliminating hundreds of unnecessary words, or thousands within a book. For a year, I’d researched and outlined my second novel. TCW: Can you please tell us a little bit about “Lightning and the Lightning Bug,” and how to do this in your own writing? Aggie: It’s much the same as simply cutting every unnecessary and/or irrelevant word, in fact that is usually how you’ll discover those “almost right” words. Circle all words that aren’t to the point. The thesaurus is invaluable here. I use it to find words saying precisely what I mean, and in some cases I can substitute one perfect word for five weak ones. Mark Twain said that “the difference between the almost right word & the right word is the difference between the lightning bug and the lightning.” As helpful as the thesaurus is, it is abused by those who try to emulate archaic writers who use exotic words. Have you ever read a sentence like this? Humanity is conceived here exclusively in terms of ritual function—man is made in order to offer sacrifices to the gods—and so the highly differentiated realms of history and moral action are not intimated in the account of man’s creation. Wouldn’t it make more sense like this? According to this account of man’s creation, our only function is to sacrifice to the gods. The many facets of our purpose, such as our varied history and morality, are not even hinted at. My edit may not impress the intelligentsia, but I understood it. Use a thesaurus to make your meaning clear, not to amaze with your intelligence. Alanna, thankx so much for having me. I have really enjoyed our time together. I’m so honored to be your first guest in this series. I’d like to offer your readers a free copy of my industry report titled Working Amazon: The Importance of Amazon Tags & How to Get the Most Out of Them. Some companies charge up to $135 to do tagging for you. Don’t waste your money. I teach how to do it yourself. The feedback on this report has been overwhelming, some marketing experts even blogging about the importance of purchasing it. Just email me saying you got this offer from Alanna’s interview and I’ll email you the pdf file. Email me at aggie@promotionalacarte.com. Aggie, thank you for being the first guest on The Chipper Writer’s Seven Question Series, and also for the free offer for my readers! To my readers, thank you for reading! Also, Aggie is going to make herself available throughout today to answer any questions you may have, so please feel free to email her.